The news reverberated last night among foodies throughout the state of Alabama. Chris Hastings has already been enjoying a pretty special year – including a win on Iron Chef America and appearing in cities like Charlotte, NC and Charleston, SC. Considering it’s the second ever Year of Alabama Food, it’s only fitting that the campaign’s official website had a post up on their Alabama Farm to Table blog congratulating the owner of Hot & Hot Fish Club shortly after it was announced on Monday night. Of course if you’re out and about travelling, you may interested in knowing who else took home awards during last night’s ceremony (PDF). Photo: Chris Hastings. 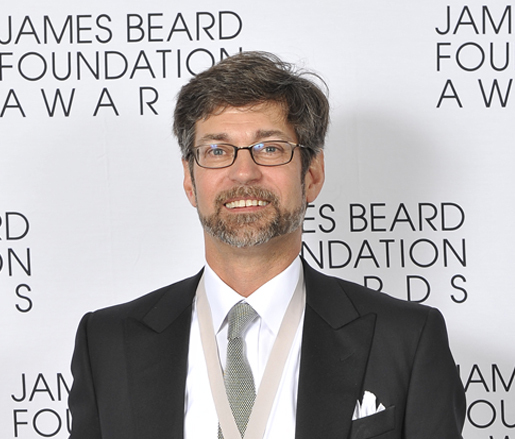 Kent Miller/jbfa. What happened with Roland S. Martin on Twitter last night? Roland S. Martin definitely doesn’t like being called the N-word (or seeing/hearing anyone use it). For those not familiar with Martin, he’s a nationally syndicated columnist, commentator and analyst, working for news organizations including CNN and TV One. Last night, the author of the new book, The First, had a heated discussion on Twitter with several members of Birmingham, AL’s online community after someone sent him a tweet using the N-word – one that has spilled over into parts of today’s stream. There are several different opinions about how the debate should move forward (we’d even started working on an editorial), but this post written on Mo Better Truths probably sums up some of the opinions and feelings surrounding that conversation specifically (you’ll want to watch the videos included in the post) and the general situation as we prepare to enter 2011. If you’ve got an opinion, we’d love to hear it. Photo: Roland S. Martin. Courtesy of his official website. UPDATE: Leon Redbone’s in town TONIGHT! UPDATE: Congratulations to James Gilbreath, our winner and thanks to those who participated. One person at random will find out at 4 p.m. that they’ve got a chance to win two (2) tickets to see Leon Redbone live and in person in Birmingham’s Five Points South entertainment district. Sipsey Tavern is located at 1926 12th Ave. S (the former Bailey’s Pub location for those in the know). I’ve got a feeling that you’ll recognize the voice behind the theme song to Mr. Belvedere (it’s the video linked here) and classic Saturday Night Live appearances among other things. Think of it as an early thank you for those of you who’ve visited the site. BTW – A head’s up – it may not be up tomorrow. The folks at UAB are providing tweet-by-tweet coverage of a robotic adrenalectomy this morning, October 23. You can follow the procedure, being conducted by Martin J. Heslin, M.D. via their Twitter account, @uabmedicine or via the hashtag #UABOR. Or just click on the links in that previous sentence. To learn more about UAB’s first live-tweeted surgery, check out this entry on their website. UPDATE: 8.11.2009 – The organizers of the Birmingham Heritage Festival have announced that this year’s event has been canceled. The Birmingham News has the details. Bogus promoter alert!!! Birmingham, AL Heritage festival, completely false. Luda will not be there so don’t buy tickets!! !